This little amp is the true junk box bash. Nothing about it was expensive, or optimal. 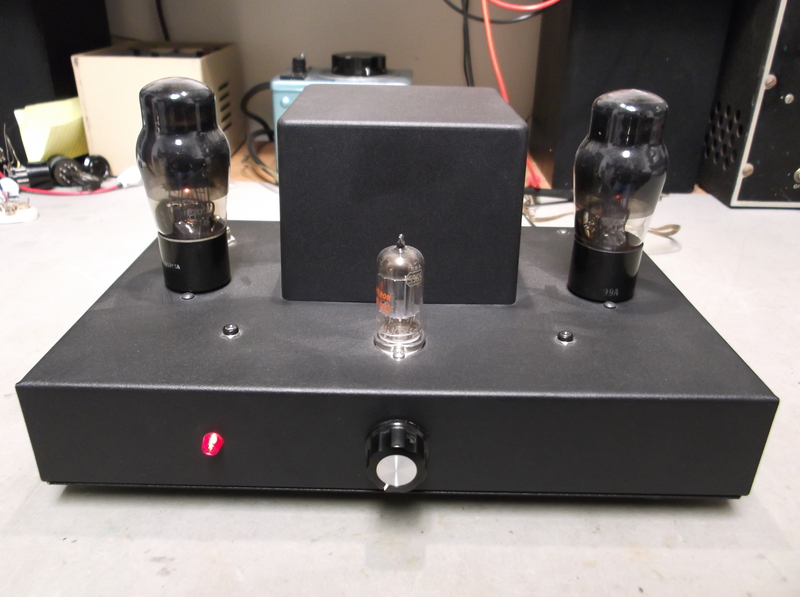 The 6Y6 output tubes are triode connected for an amazing 1.7 watts per channel! No feedback loop, I had no gain to spare. the 5965/12AV7 was used because at this low voltage, it’s high transconductance gave adequate gain. a 12AT7 would have been second choice. This is the final schematic of the piece. As you can see, the power supply is far more complex than the audio circuit. With the two-stage all-triode arrangement, and no feedback, this amp really cares what speakers it is connected to. It sounds best on well designed acoustic suspension speakers that have some damping of their own.